Since the late 1960s, the American Muslim community has experienced exponential growth and incredible diversification and integration. The number of mosques (masajid) have more than doubled, from 230 in 1960 to over 600 by 1980. The 1970s were a time of increased immigration of Muslims from all parts of the world, as well as a period marked by a transition to orthodox Islam among African American Muslims and the embracing of Islam by as many as 80,000 Euro-Americans. 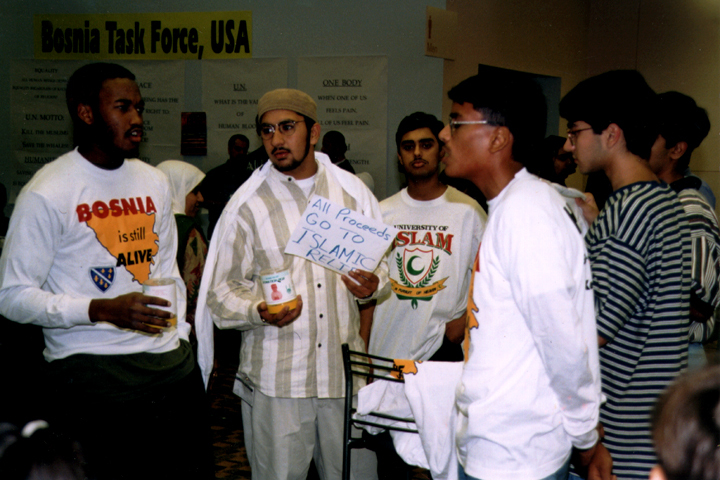 By the early 1980s, the changing demographics of the American Muslim community required the creation of national organizations beyond the Muslim Students Association (MSA). The most significant of these was the Islamic Society of North America (ISNA), which was established by the MSA in 1982 to serve as an umbrella organization for Sunni Muslim groups across the country. 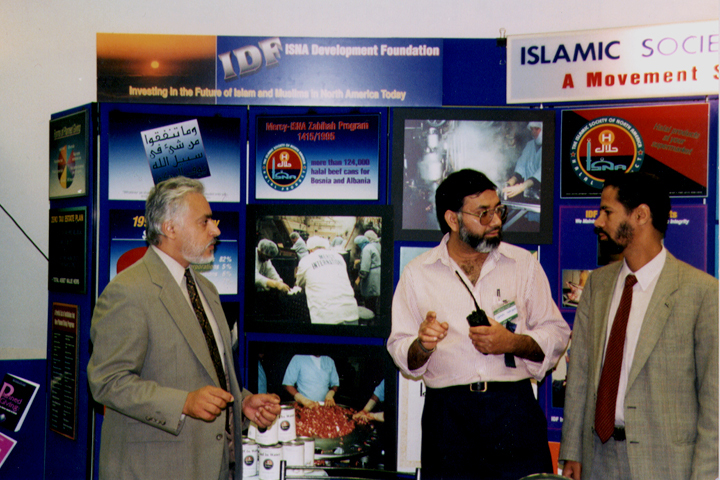 ISNA was one of many outgrowths of the MSA; others include the Islamic Medical Association, founded in 1967, the Association of Muslim Scientists and Engineers, founded in 1969, and the Association of Muslim Social Scientists, founded in 1972. ISNA publishes the magazine Islamic Horizons and sponsors both national and regional conferences. In the 1990s, ISNA also participated in the Islamic Shura Council of North America, which coordinated among four of the most important national Muslim organizations: ISNA, Ministry of Imam W. Deen Mohammed, the community under the leadership of Imam Jamil Al-Amin, and the Islamic Circle of North America (ICNA). The formation of this council was a potent signifier of the merging of indigenous and immigrant streams of Islam in the American context. On a practical level, this council founded the Bosnia Task Force and facilitated the first joint observance of Ramadan in America. In 1993, all of these national organizations coordinated the sightings of the moon which begin and end this observance. The Islamic Shura Council of North America has since disbanded, to be replaced by other organizations that similarly unite American Muslims of all backgrounds. Today, the North American Shi’a Ithna-Asheri Muslim Communities (NASIMCO) and the national council of the Ismaili community, His Highness Prince Aga Khan Shia Imami Ismaili Council for the U.S.A., are examples of American Shi’i organizations, although ISNA and ICNA do not exclude Shi’i participation. American Muslim organizations today also include over fifteen Islamic financial services organizations that adhere to shari’ah, a score of political action committees, including the Council on American-Islamic Relations, and social service organizations like Illinois’ Islamic Food Council. Social activism and charitable organizations continue to be a key contribution of the American Muslim community. Many of these groups have an international focus, providing aid to Muslims throughout the world; organizations such as the Inner-City Muslim Action Network (IMAN) and Islamic Relief also provide aid to the needy in the United States. 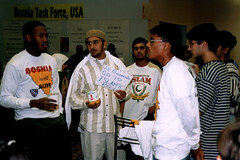 Other Muslim communities reach out directly into their neighborhoods and to their non-Muslim neighbors: members of New York’s Masjid al-Taqwa worked with police and community organizations to close down some fifteen crack houses in the 1990s; leaders of Masjid al-Rasool in Los Angeles helped to arrange a truce between rival gangs. Since 9/11, many Muslim organizations and mosques have collaborated and cooperated with officials in various investigations, looking out for the interests and safety of all Americans. Muslims in America have been building a community from the ground up: over the past several decades, many American Muslims did not have the option simply to go to the local masjid; they had to establish one. Muslim parents could not always just send their children to the local Qur’anic school; they had to found one. This community has, therefore, created an elaborate Islamic infrastructure in America, with over 400 Islamic schools, over 1,200 Islamic centers and mosques, and a myriad of other organizations. Through these efforts, nearly five million American Muslims are educating their children, gathering to pray, working to educate their neighbors and their government, fighting against poverty and crime, and building a stronger, more diverse ummah in America. The American Muslim community strives to carry faithfully the message of Islam in a challenging environment. Institutes to strengthen the leadership of American Muslims, and thereby enhance the infrastructure of the faith, have also arisen in the early years of the twenty-first century. The American Muslim Civic Leadership Institute, part of the University of Southern California’s Center for Religion and Civic Culture, has been at the forefront of educating young Muslim professionals in the skills and tools they need to be more effective community leaders. Zaytuna College, in Berkeley, CA, is another organization dedicated to the future of Muslims in America. The college aims to create an intellectual community whereby Muslim Americans can learn about their academic inheritance from both Islam and the West, ultimately producing scholarship that speaks to their own context. This scholarship, believe the founders of the college, will strengthen the Muslim experience in America by producing scholars and thinkers who are well-versed in Islam and its relationship to non-Muslim traditions of thought. Another leadership institute is the Macdonald Center at the Hartford Seminary, which offers the first accredited Muslim chaplaincy program in America. At the seminary, students are trained in both the academic discourses of Islam and in the skills and methodology of serving the Muslim population from a spiritual standpoint. This wedding of academic and practical aspects of Islam is yet another way in which the Muslim infrastructure is being strengthened through education. In America, Muslims from all parts of the world are claiming a common identity based on religious, not ethnic, grounds. As one prominent Muslim educator put it, “Enabling Muslims to explore the roots of their faith more freely is, in my mind, America’s gift to Muslims.” Through the infrastructure that has taken shape in America, Muslims are able to consider and apply their faith in a way that is both distinctly Muslim and American.